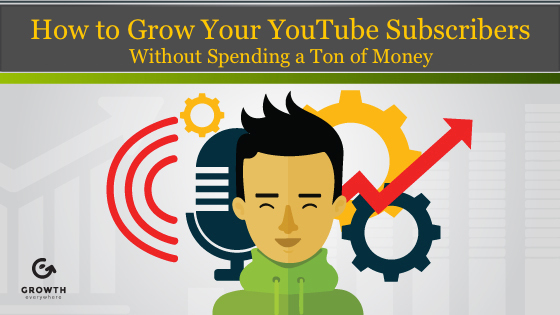 Let’s talk about how to grow your YouTube channel consistently. 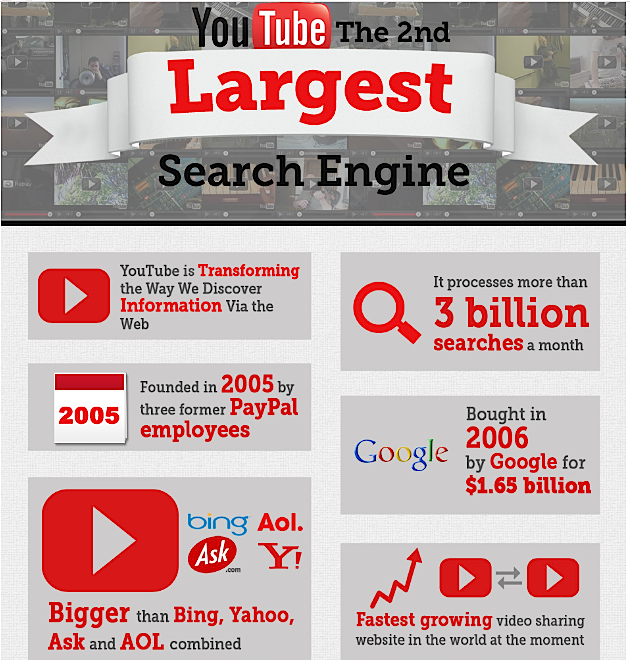 Keep in mind that YouTube is the number two search engine in the world. In 2017, I committed to doing more video. 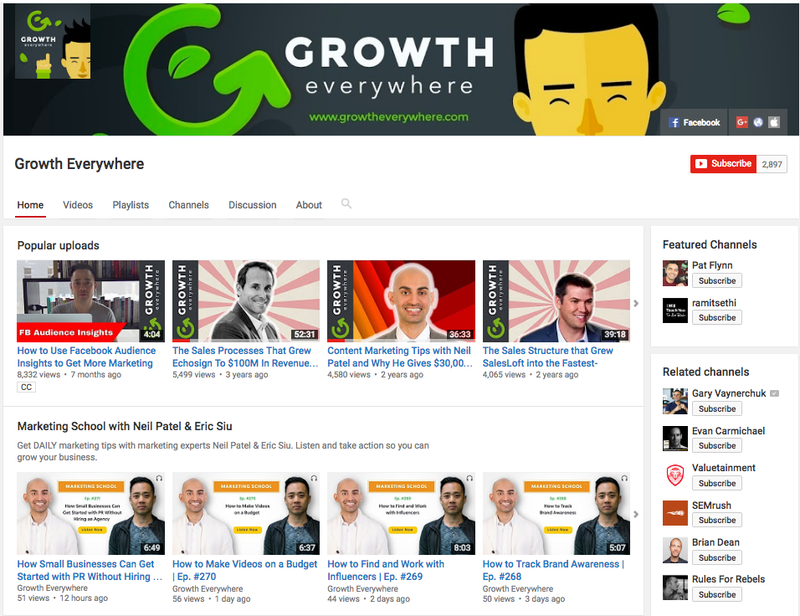 Our Growth Everywhere channel has been getting bigger. We’ve started doing these Facebook Lives on a daily basis, so that’s basically one video every single day to Facebook and YouTube as well. We have one new episode of Marketing School going live every single day to the YouTube channel and then also one Growth Everywhere episode. Things are starting to pile up. We’re getting more views all of a sudden and our subscriber base is growing. We’re adding 20-25 subscribers every day. And that’s just the beginning, because a lot of stuff that we’re publishing is being auto-published and we’re not optimized for TADs or for titles either. We can do a better job. The thumbnails are huge, too. We haven’t really had anyone optimize the thumbnails in Canva. First and foremost: think in terms of playlists. You should be doing playlists every week because playlists can increase watch time and watch time is one of the primary metrics for growing your YouTube subscriber list. More watch time means they’re going to be serving more ads in general, which means they make more money. You also want to make sure that you have the right tagging in place. 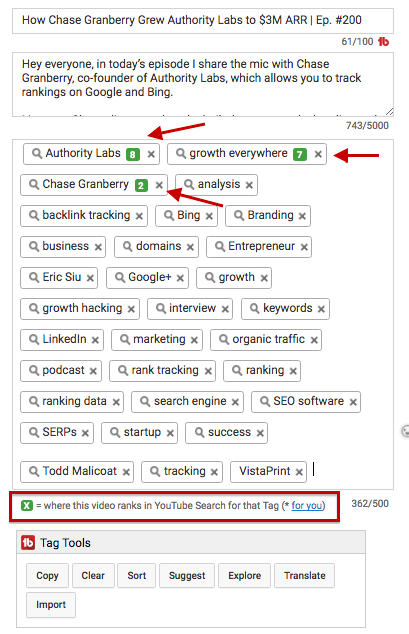 You can use a tool like TubeBuddy to make sure that you have the right tags, and you can see how you’re ranking for each tag (these are the things that people are searching for). If you want to rank for content marketing, for example, that might be one of the tags you use and it’s going to show you how well you’re doing. Another thing you want to pay attention to is the thumbnail. You can use a tool like Canva to make sure that you have a good thumbnail because people click on good thumbnails (this is true for Facebook and YouTube). Titles are also really, really important. If you don’t know how to write good titles, just Google Copyblogger’s How to Write Magnetic Headlines post. Getting a good number of clicks has everything to do with your thumbnail and your title. If you can’t entice people to actually click, you’re not doing your job as a marketer or a creator. Finally, you have to be consistent. I mentioned the fact that we’re doing one new video almost every single day and one new podcast episode every day plus one longer interview podcast every week. We’re aiming for this kind of obsessive consistency because we know it will pay off—more and more people are going to talk about what we’re doing. What I really like looking at, especially when you’re first starting out, are the people who are Tweeting at you or emailing you to say how helpful your content is. As long as people are saying that your content is really good and it’s helped them a lot, just keep going. Stay consistent. You’ve heard me talk a couple times about how after the first year of Growth Everywhere I was only getting nine downloads per day. After the second year, I was getting maybe 50 downloads per day. 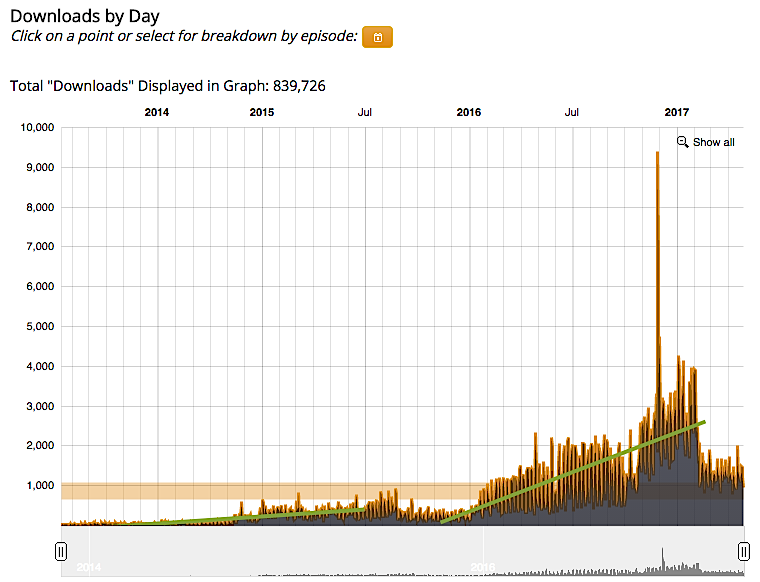 After the third year, it went as high as 15,000 downloads in one day. It just takes a lot of time to get this machine going, but it’s absolutely worth it. When I watched the Patriots come back to win when they were down 28 to 3, I kept thinking that this type of comeback is only possible with consistency. You’ve got to stay persistent to make it happen.